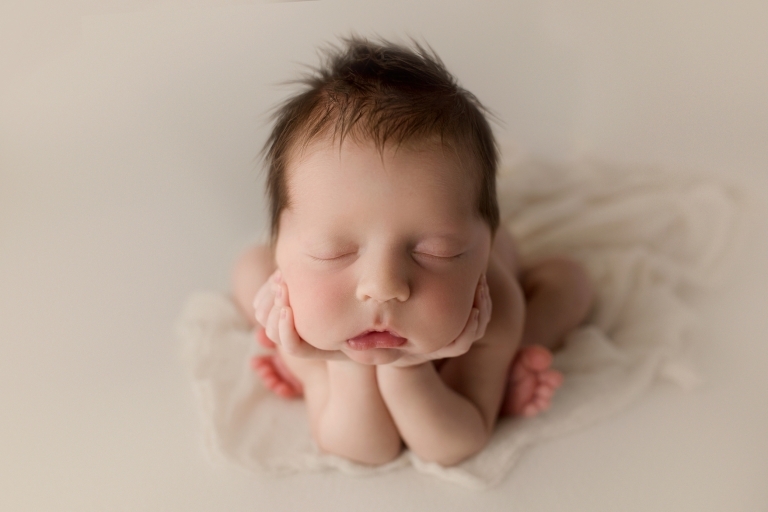 I had a wonderful time being this family’s Puyallup Newborn Baby Photographer! The parents were so nice and their son slept like a dream! 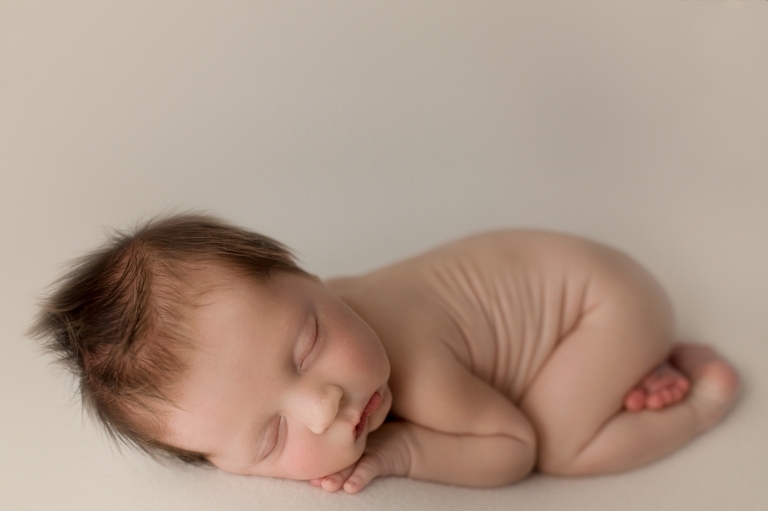 The entire newborn session was perfect and I couldn’t have asked for a better baby! Besides this baby boy being so handsome, his hair was the best feature on him! It was so fluffy and naturally went into a mohawk! It just doesn’t get any better than that! 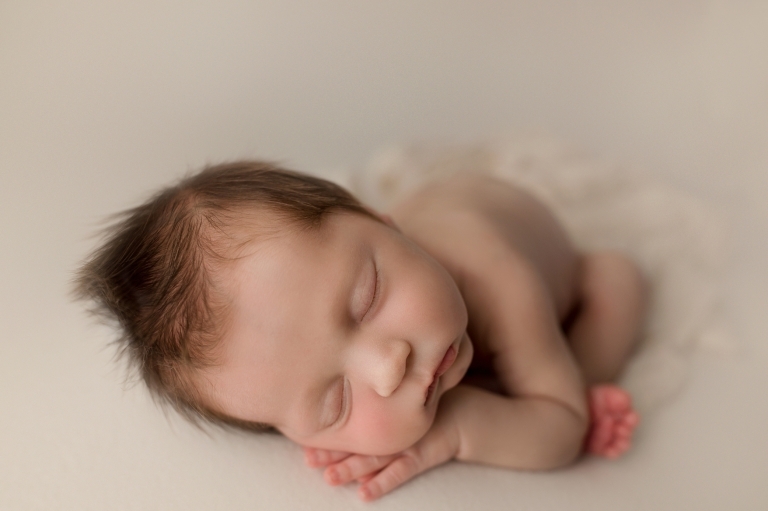 One of the things I always try to do is photograph newborns on cream and one other color. The cream can go anywhere in the home and will match most walls and rooms. 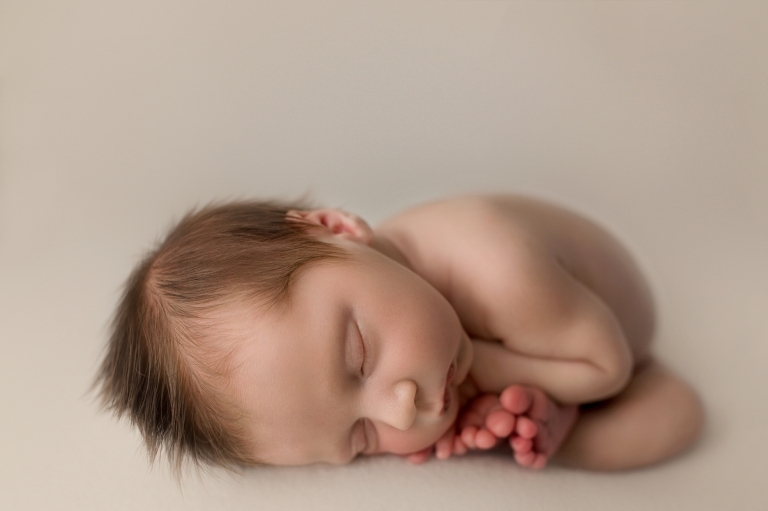 It also gives baby a very natural look, which I adore! Mom chose olive green for the second color of his baby session and it went so well with his red hair! Olive green and red hair are like a match made in Heaven! Parent shots are always my favorite and the mom and baby in this session were the cuddliest I’ve ever gotten them to be! This baby boy melted right into mom’s arms and mom loved on him in the most beautiful way!